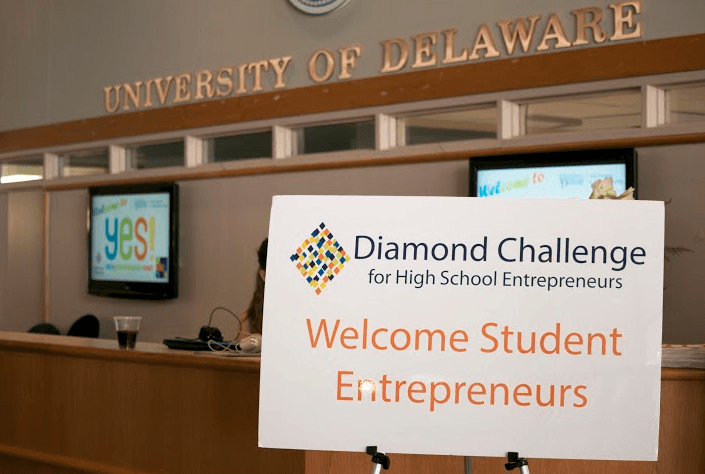 APRIL 21, 2016 – NEWARK, DE – Last Thursday, on April 14th, 2016, fifteen teams of high school entrepreneurs representing five US states and six countries competed in the semifinal round of the business concept track of the Diamond Challenge. The semifinal round ended a day full of entrepreneurial activity, where all the business concept semifinalists as long as the finalists for the Diamond Challenge’s social venture track were able to receive pitch coaching, attend workshops, and network among members of the entrepreneurial community. 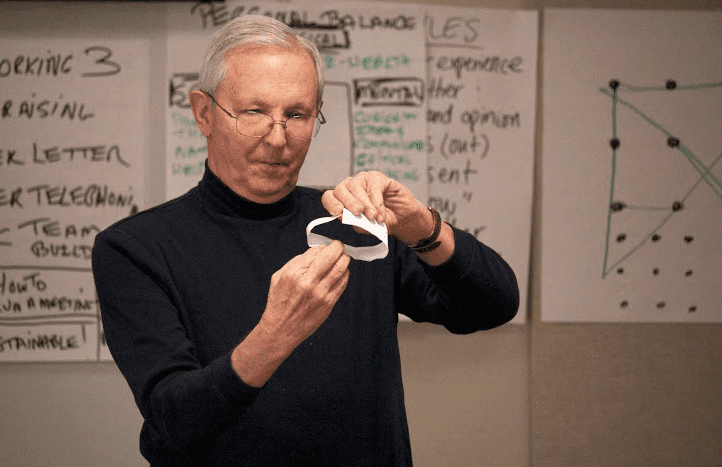 While the business concept teams competed for the coveted finalist titles, social venture teams, which competed separately online and already had finalists, participated in a Social Entrepreneurship Globechangers Bootcamp presented by the Jefferson Awards Foundation founder Sam Beard (pictured below) and Elizabeth Kennedy, National Director of the Globechangers program. 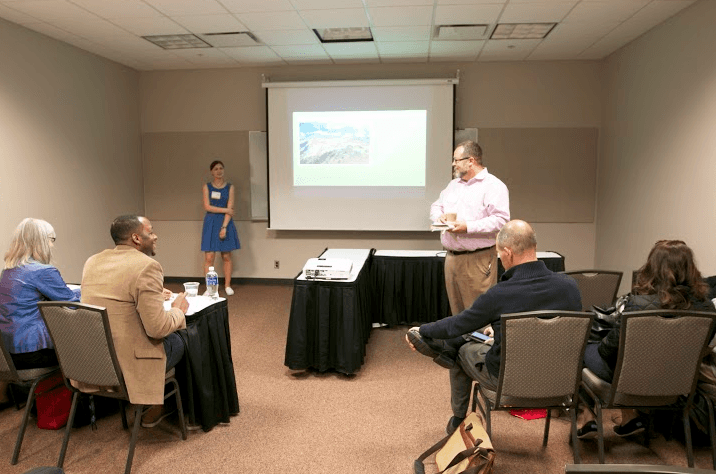 The business concept teams were split into two rooms and each had to pitch in front of a panel of judges. The first room had judges Margaret O’Dwyer, President of the Delaware Youth Leadership Network, Ryan Harrington, Education Coordinator of 1313 Innovation, Jean Genzano, Director of Brand and Publisher Revenue of StumbleUpon, and Ken Anderson, Entrepreneurial and Small Business Support of the State of Delaware. The second room judges were Lisa Ford, Director of Digital Marketing Strategy of Capital One, Linda O’Hara of the Horn Program, and Donald Baker of Fame, Inc. Two teams, Polar Solis and Notifica of Southern California, immediately moved on to the final round, and teams Retracta-ball Pump and Essential Beauty of Maryland had to compete in one final pitch-off for the last finalist spot. Retracta-ball Pump snagged that spot for the final round, and the three teams joined Social Venture teams MentourU from Pennsylvania, Do it for Bunica from Moldova, and Fresquiticos from Costa Rica as the finalists for the competition. 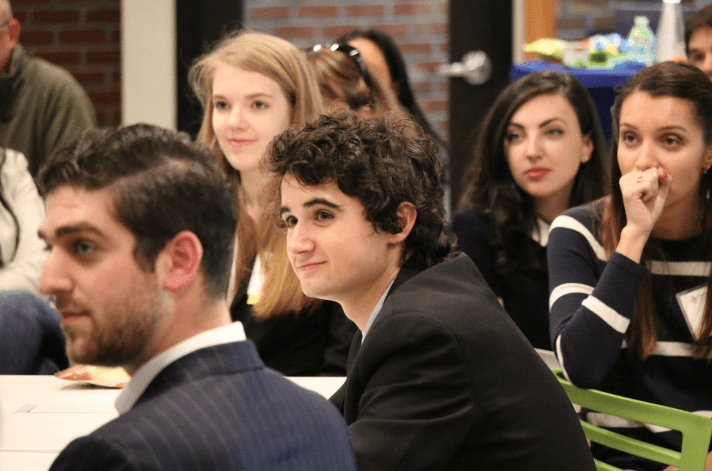 Participants visited the Venture Development Center, home of the Horn Program in Entrepreneurship on the University of Delaware Campus on Thursday evening for an awards celebration dinner. The Retracta-ball Pump is a ball pump that allows the needle to retract back into the pump, preventing the needle from being lost or damaged. Essential Beauty is a travel size make-up organizer that can also be used as a counter for anyone challenged with a lack of space. Our first product is Flow: a revolutionary, modular-based keyboard that allows the user to pick and choose how they use it. Hemmed will accommodate the schedules of business professionals by offering convenient and customizable tailoring services in the office. DraftRivals: a social daily fantasy sports game that is fast and fun. Challenge your friends any time in the season to a spontaneous matchup. A system that will keep drones and aircrafts from colliding, that is both safe and efficient. It will do minimal to no damage to a drone. A unique security company that offers two products, one to tackle women safety and another to revolutionize the in-home monitoring of asset. Polar Solis is a windshield that diffracts sun glare by adjusting color and brightness to counteract the fluctuation in levels of UV light. SmartWash aims to revolutionize the shower experience by tracking shower duration, ultimately helping to save water and your wallet. Pea Band, a smart band with user-friendly functions such as a special charging cable, NFC communication, and USB disk functionality. Healthy Spray is a unique formula with active substances designed to absorb traces of chalk from blackboard with an inviting smell. The solution interacts with chalk from the blackboard and reduces chalk dust from the air of classrooms, which can cause respiratory diseases. Tushurai is developing entrepreneurship in Tusheti, a high mountain region of Georgia to help Tushetian and foreign visitors have an enjoyable time through a café with nice atmosphere, delicious food and entertaining activities. We are presenting a center that offers a 6-months reintegration program to ex-convicts to insure them a successful reentry after release. PRISM assists anyone taking many pills regularly with an all in one solution of a pillbox and an app.